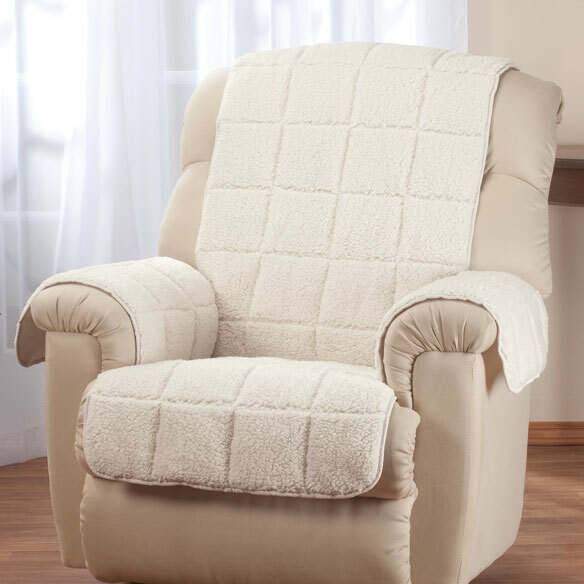 waterproof quilted sherpa recliner protector by OakRidge™ makes living worry-free. 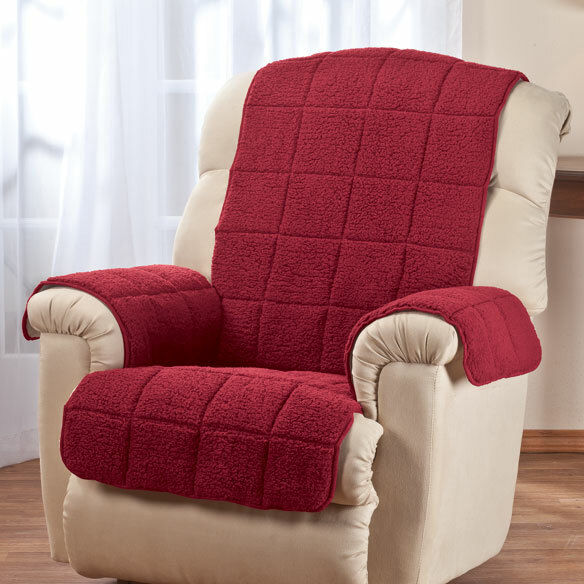 Easy-on/off furniture cover fits most recliner styles, with arm covers and a longer back for stay-in-place protection. Waterproof fabric protects from pets, spills and incontinence leaks. Soft, snag-resistant surface adds plush cushioning for maximum comfort. Easy-care machine wash, line dry. 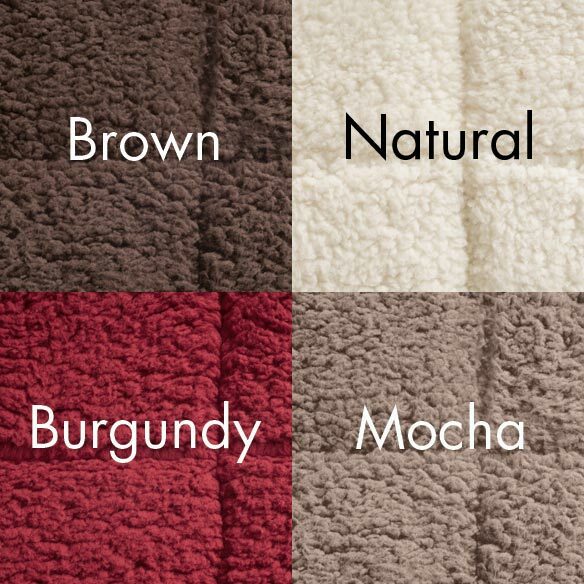 Choose from brown, natural or burgundy. 100% polyester surface with 100% olefin backing. Seat 30 1/2" L x 23" W; back 48" L x 23" W.
I like the style and the fabric. To prolong the life of my favorite chair! Have "leakage" from time to time. Need protection on recliner. My husband is a disable vet with Parkinson's Disease. We felt this would keep his recliner in better condition. I need to have a plush cushioning for my recliner. Nice looking and to keep chair, used by elderly person, cleaner. My mother has incontinence issues. I hope to cover the comfy cushion with this to make cleaning easier. I have to sleep in my recliner and it is leather.....so I slip out of it. I hoping that this is going to solve the problem!! Bought identical couch cover and am happy with it. Style, price, and color choice met my needs. 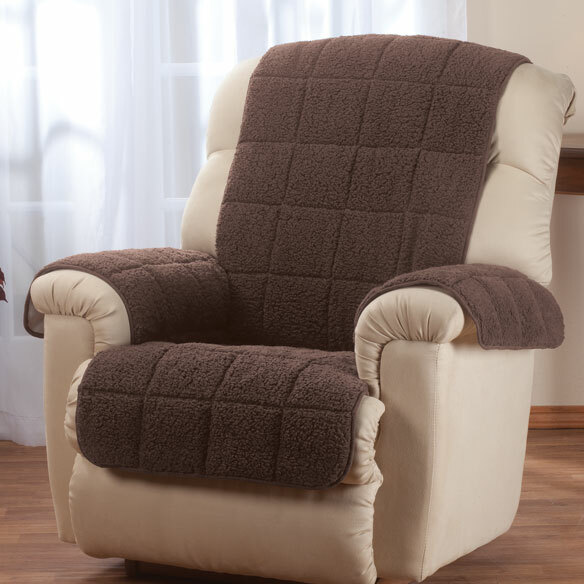 For looks and comfort on a new recliner. Just to renew a favorite recliner that is over 15 years old. Returned. Did not work for us, but the return process was no problem. Purchased to protect new recliner. Like the color selection and material that this cover offers. Hopefully this item will protect from a cat. We need a cover for a leather recliner. The less expensive model had mixed reviews on quality and utility. This one has no reviews, so it's a gamble at more than twice the price. have white chairs, need protection for them. Looks like what we need for leather recliners which are cold in winter. will replace older covers, effective in protecting surface. Will this waterproof cover fit an oversized recliner? BEST ANSWER: Thank you for your question. The dimensions of this item are: seat 30 1/2" L x 23" W; back 48" L x 23" W. Please measure your recliner and compare it to these measurements to see if this will fit yours. We hope this information will be of help to you. I need recliner chair cover, but looking for something that has an elastic to hold back from falling.? BEST ANSWER: Thank you for your question. We suggest item number 350217, Newport Stretch Furniture Recliner Cover. We hope this information will be of help to you. If you only want the back to stay in place this will work fine. What is the measurement on the armrests? BEST ANSWER: Thank you for your question. The arm rests are 21" x 16". We hope this information will be of help to you. what fabric is the cover made of? BEST ANSWER: Thank you for your question. It is 00% polyester surface with 100% olefin backing. We hope this information will be of help to you. 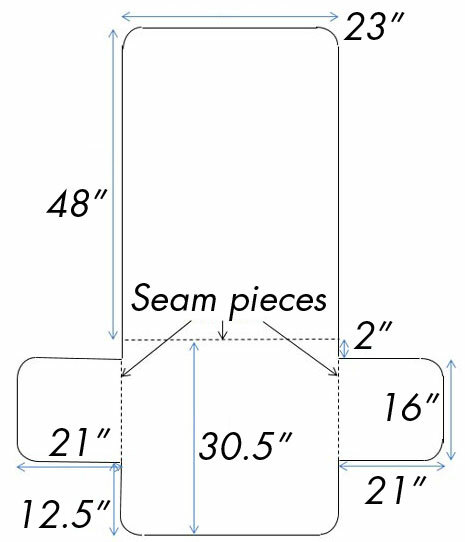 How can I print the size chart? BEST ANSWER: Thank you for your question. You will need to copy the size chart, put it in a Word document and them print it. We hope this information will be of help to you. I want to know what colors it comes in? BEST ANSWER: Thank you for your question. 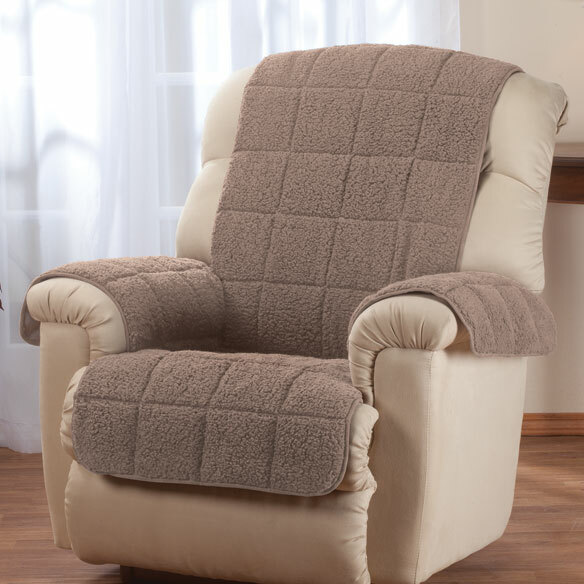 The Waterproof Quilted Sherpa Recliner Protector comes in Brown, Natural, and Burgundy. We hope this information will be of help to you.